You are here: Home / Surf Websites / Categories-other / Contributed Articles / How a Big Mac was healthy for me. 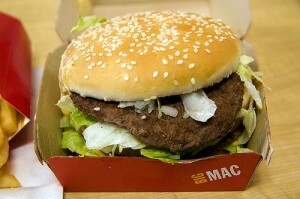 Filed under How a Big Mac was healthy for me. Well, I used to think that if one is active enough and works out allot you can pretty much eat anything once in a while outside of the obvious wrong of deep fried butter and the likes at the state fair and still be in good shape. With surfing being an active sport and being a surfer I felt I fit this category. The fact is that it is more important how we nourish ourselves than almost anything else. Obviously I was overlooking the fact that I am getting older, do not surf nearly as much as I did when I was a grom or in my twenties, live a bit inland now with the busyness of having a young family of toddler & grom. I also was fooling myself into thinking I had bought myself allot of leeway from my earlier years of surfing allot. I have been lucky and active enough to always have had blood pressure, resting heart rate and other vital signs testing out in the very good or top athlete range and on my most recent trip to the doc this was no exception. However, my cholesterol blood test this time produced results that showed my low density lipoprotein’s (LDL cholesteral) were slightly elevated and my total cholesterol was just over 200 (desired results for a man are under 200). This was a fasting blood test and I did adhere to the fasting guidelines but the last thing I ate the night before at about 8 pm was a Juicy McDonalds big mac and some french fries. Mind you I am not bashing the burger chain and actually like the McDonalds organization. Yes I know it is almost as though I was trying to skew the results of the test. My last few tests in recent years the docs said everything looked just fine. I have learned that eating fatty foods or red meats in the days before a lipid panel can skew the results but I am not blaming the big mac though I am sure it did not help. That week I had been eating more back yard barbeque and red meat than usual as well. Well I all but stopped eating red meat and changed my deli meat lunches to skinless plain chicken that I would cook up in one night and store in the fridge to last all week. My lunches consisted of hollowed out bell peppers filled with chicken and some fruit & veggies on the side. I also decided to try a glass of some red wine about once a week. I found that the pinot noir type of red wines are best for all the health benefits that come from red wine and not to even bother with white wine. I also did some short little sprint workouts when I could squeeze them in. 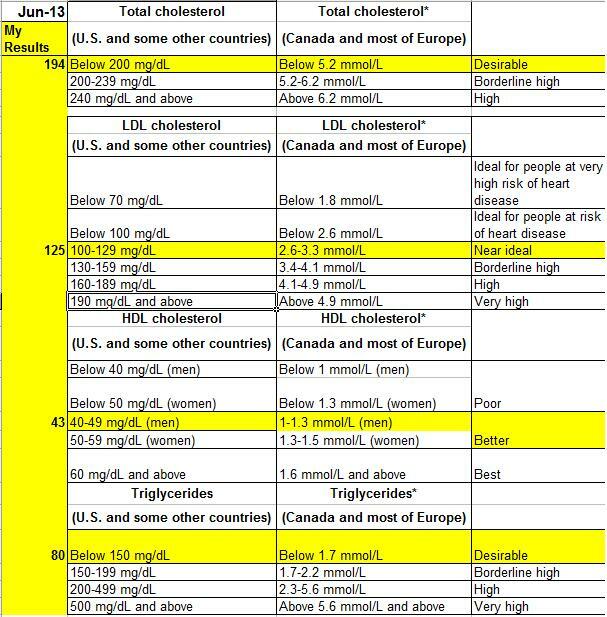 Well, two months later my tests showed a big change with my LDL cholesterol dropping over 25 points, my total cholesterol under 200 and even my good High Density Lipoproteins (HDL “good cholesterol”) up 1 point. (Good HDL’s patrol the blood stream and push the LDL along to prevent them from conglomerating and loitering in any spot along the stream). Well I thank the Big Mac for changing my habits as had I tried to eat really healthy the week before the test I might have had different results and not changed my diet much. I think I will enjoy a good loco moco plate lunch only after a big exercise if I’m lucky enough to be in the islands again or eat at one of the Hawaiian barbeque chains in southern California. Get this site translated. We speak your language.